H&M is one of my favourite places to buy kids' clothes and has been ever since I started buying outfits for Arthur, before he was even born. To me, the quality is good, the prices are fair and there's something for everyone. I often see mums complaining on social media that they can't find decent boys' clothes 'that aren't blue' anywhere but I can't say I've ever had that issue myself, as H&M (and Next) have always been my go-to. For me they do 'boys clothing' and kids clothing in general really well. One of my favourite ever purchases from H&M was a lovely pair of brown walking-style boots for Arthur. He looked absolutely adorable in them and I remember when he wore them during our Cornwall holiday last year, a number of people actually told me how much they loved them! Of course, kids' feet grow so quickly and it wasn't long before he wasn't able to wear them any more. I was sad because they were a favourite and hoped they'd be available on the H&M website for autumn this year and thankfully they were! With a 20% off code from H&M Club I managed to pick up a new pair for under £20! 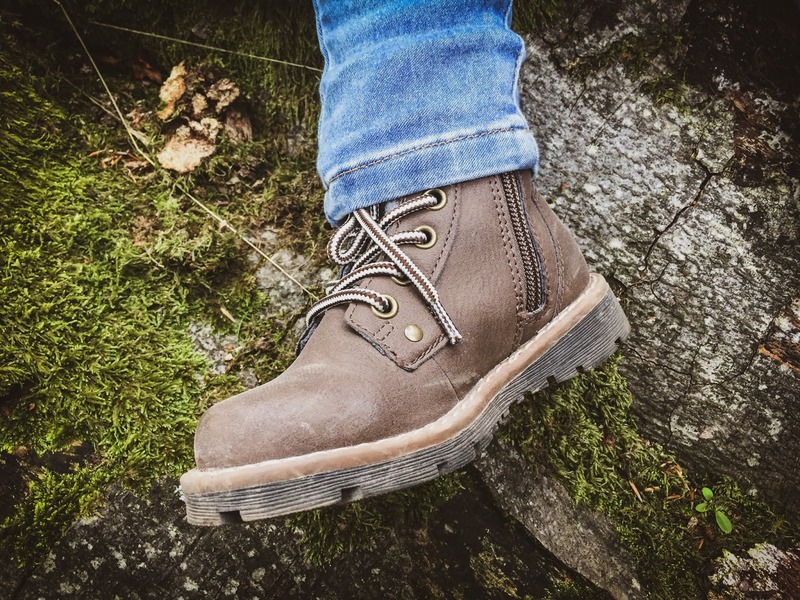 And they're just as lovely as I remembered - sturdy and supportive for our weekend walks, easy to put on with a loop at the back and zips at the side and fleece-lined, ready for the colder winter months. 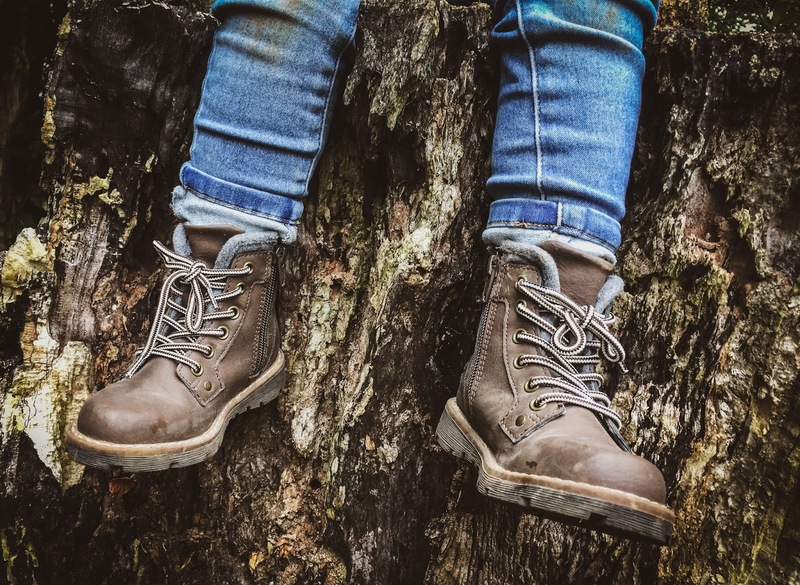 The fleece-lined boots are perfect for the adventurous toddler; the one that likes to stomp through mud, climb trees, collect conkers, pick up sticks, examine leaves. 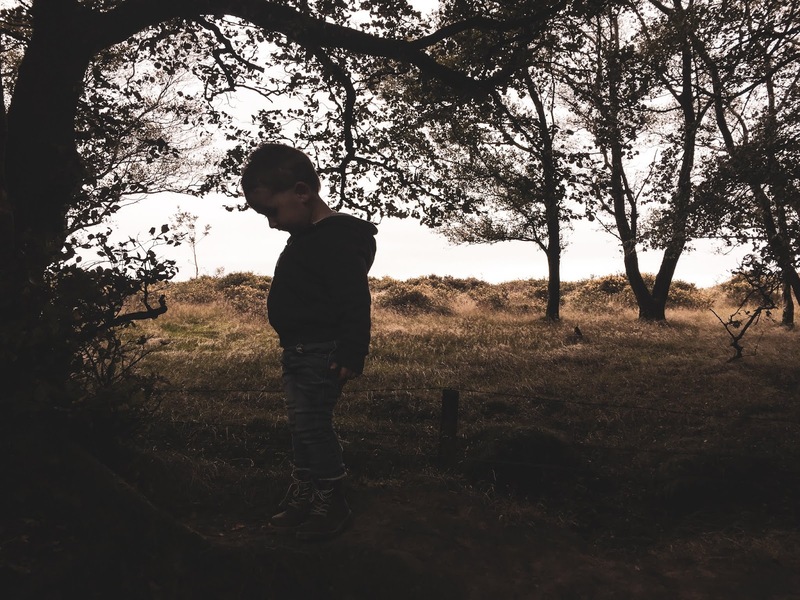 The toddler that loves to be outdoors, at one with nature and isn't afraid to get a little messy. The boots are Arthur to a T! He usually wears his boots with a pair of skinny jeans tucked into them but they look great with his printed leggings too. Although they're found in the boys' section, there's no reason why girls can't wear them too and in fact, I'd totally wear a pair with an autumnal dress and tights if they had them in my size! 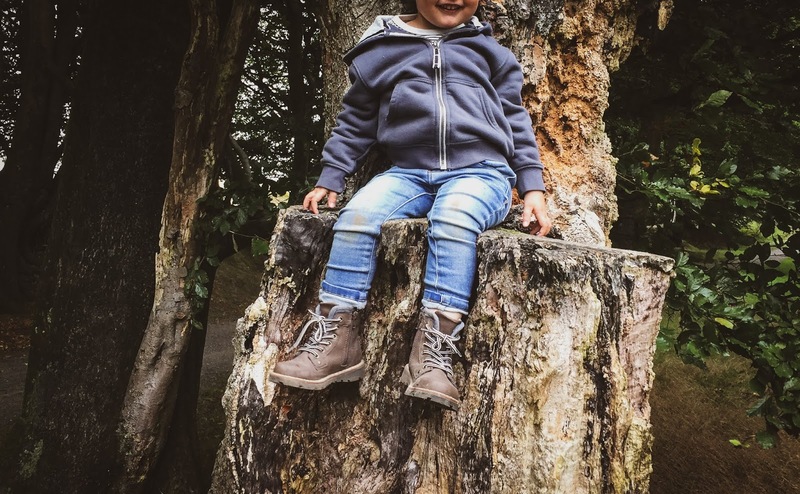 H&M has some gorgeous pieces, so if you are looking to update your toddlers' wardrobe for the new season or find a robust pair of boots for their autumn adventures, I highly recommend heading to the website and seeing what's on offer. Oh and definitely sign up to H&M Club - it's completely free and you will get access to regular discount codes, as well as free standard delivery. Where's your favourite place to buy kids' clothing? Do you ever have 'pinch me' moments? I do. But not for meeting idols, getting amazing promotions, winning awards or seeing the world's greatest sights (all very good reasons for pinch me moments, I may add,) but rather seeing my family together and thinking just how lucky I am. 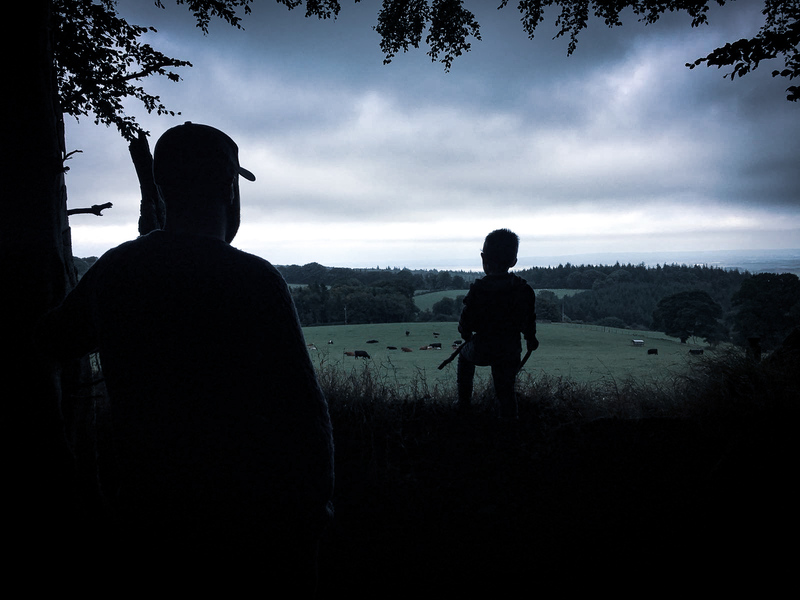 These moments can occur at the simplest of times - when we're out on a family walk and Arthur is holding hands with my partner. When my dad is zooming Arthur along in his buggy. When Arthur gives my mum a kiss goodnight. When my boys are cuddled up asleep and I'm getting myself ready. Often I'll find myself pausing for a moment and thinking just how lucky I am. I've even whispered it to myself. Sometimes I'll snap a picture. Maybe I'll share it on Instagram. Maybe I'll keep it for myself. But often I'll take a mental picture and savour a moment before it passes. I'll try to imprint it on my mind. And whilst I may not remember that exact moment in all the moments we'll share together, it will fuel the feeling of happiness, a now constant in my life. Have you had any pinch me moments recently? 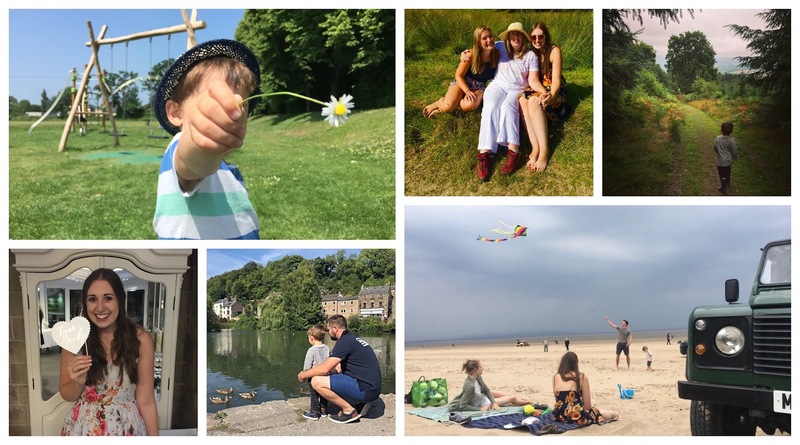 With autumn fast approaching, I thought it'd be fun to put together a little post featuring some of our summer highlights. 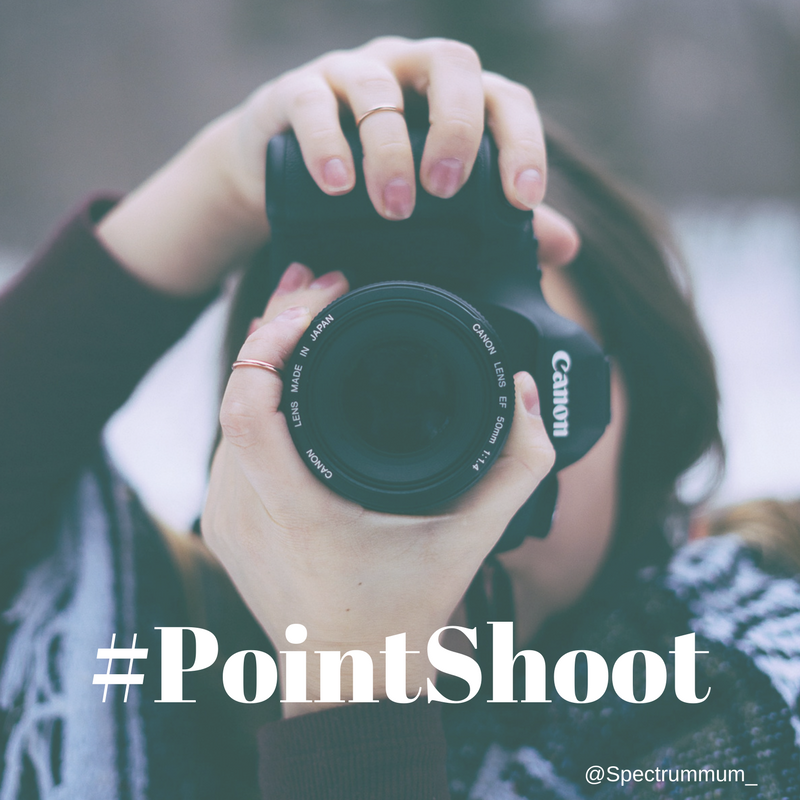 I've seen a couple of bloggers doing a similar thing, including the lovely Sophia from Tattooed Tealady and it seemed such a nice idea that I wanted to do one myself. The perfect opportunity to look back on our summer of fun in the sun! 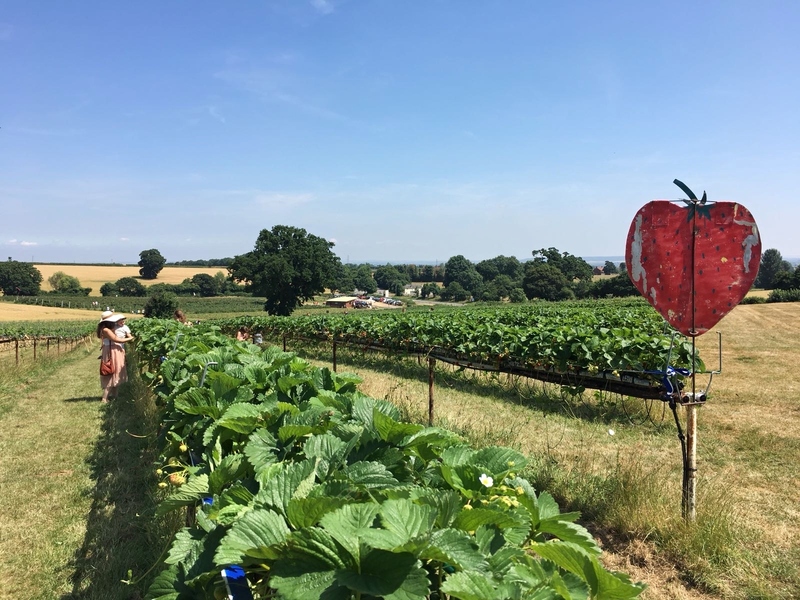 We had so much fun strawberry picking at Thurloxton Fruit Growers back in July! 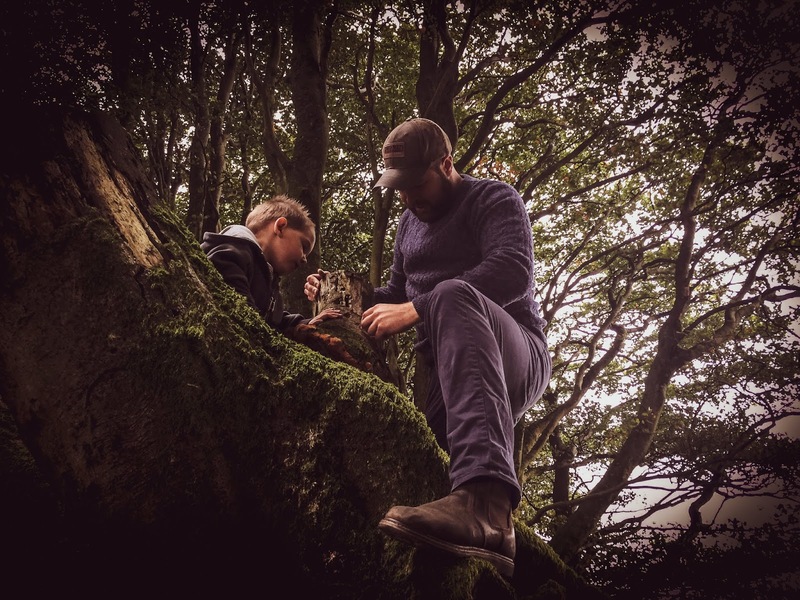 It was something a little different to do (even if every family in the UK seemed to be out doing it) and a great opportunity to pick some delicious fruit...oh and capture some insta-worthy photos of course! My biggest achievement this summer was passing my driving test! I had been nervous for weeks and weeks, knowing my test was booked for 13th August but was so proud to pass with just two minors. 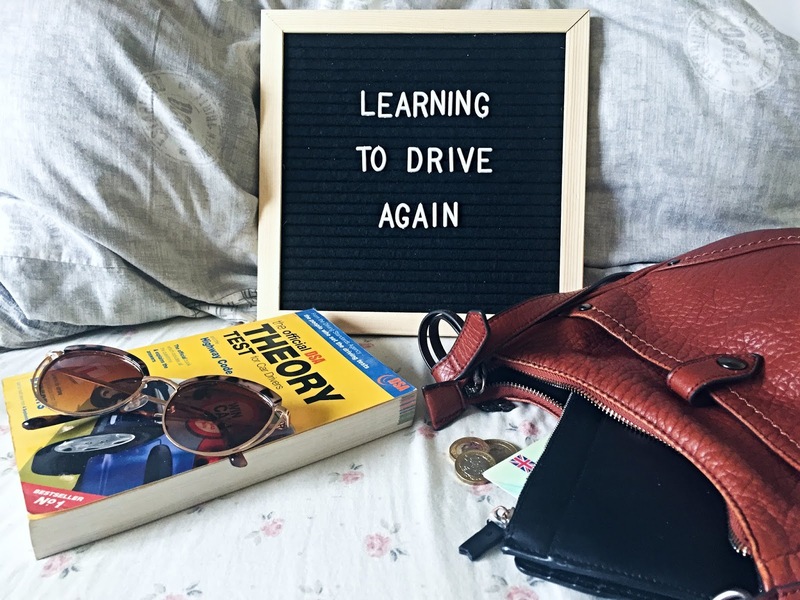 I started my driving lessons at the beginning of the year and although it took me a little while to build my confidence up, I got there in the end! 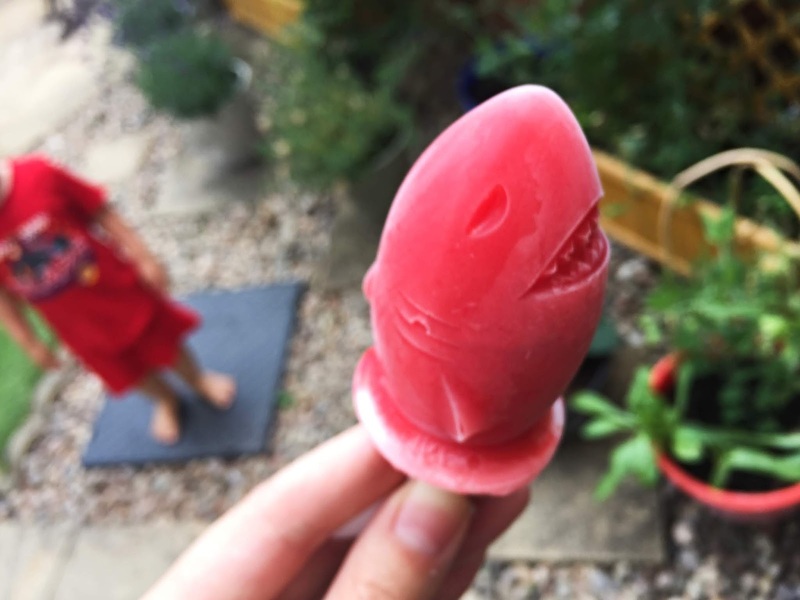 Another fun toddler-friendly activity we got up to this summer was ice lolly making, with some lovely products sent over by the team at Steamer Trading. We made lots of fun and fruity flavours for Arthur and even some alcohol-infused ice lolly recipes for us grown-ups - tasty! 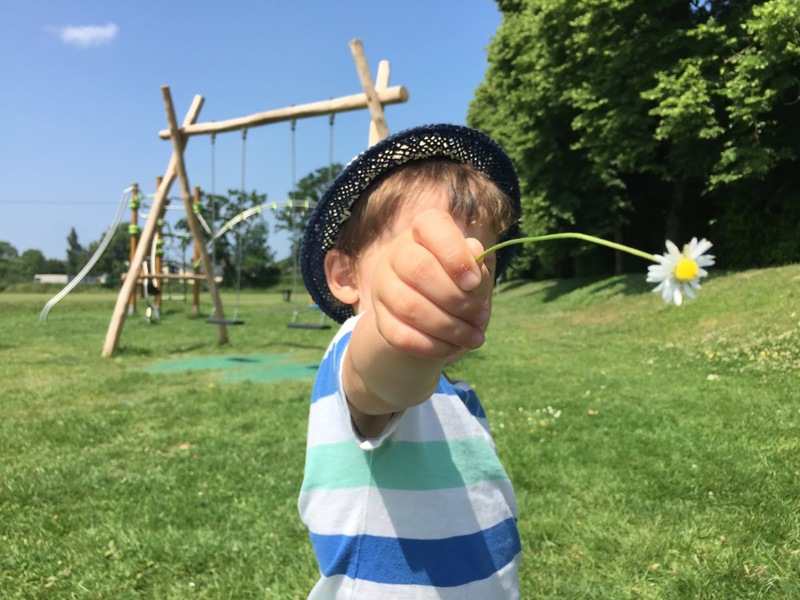 One of our favourite daytime activities this summer has been trips to our local parks. 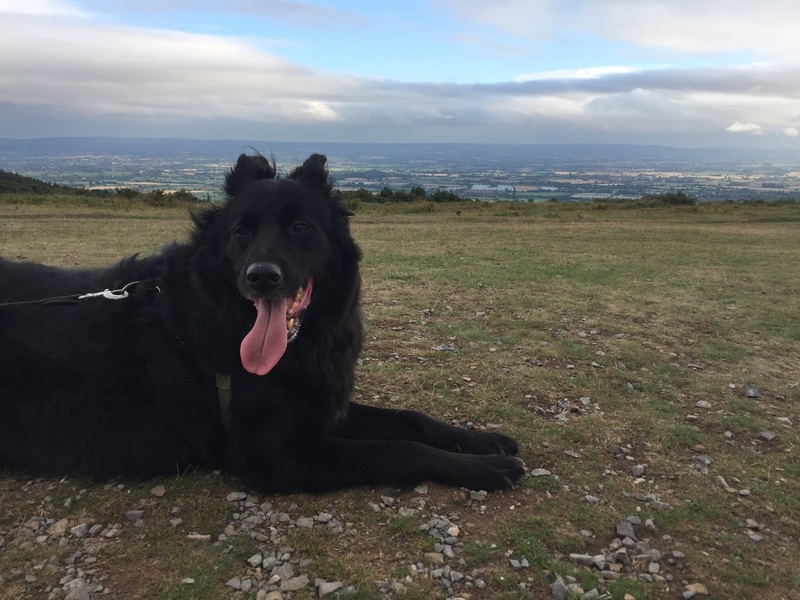 It's a win-win really because Arthur loves a park trip and it's completely free! 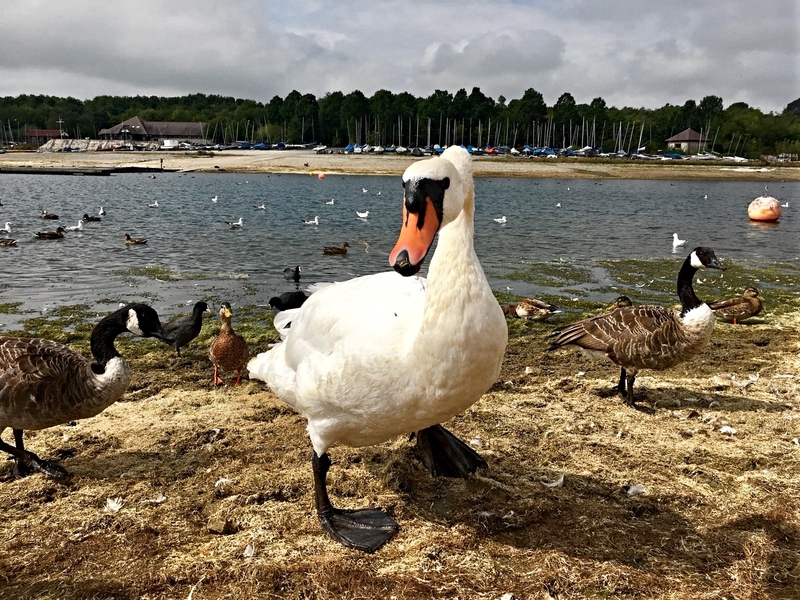 We're lucky to have three in the village and with it being so hot and sunny these past few months, we've been able to spend lots of time there and have even made new friends with families doing the same thing. 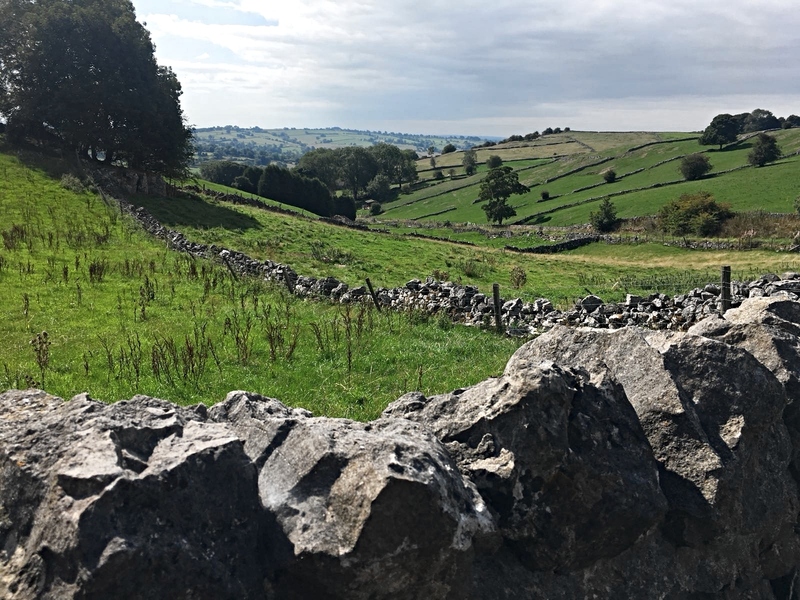 We're lucky to live in such a beautiful part of the country and have definitely made the most of the warm weather this summer by exploring as much as we can of the local countryside. 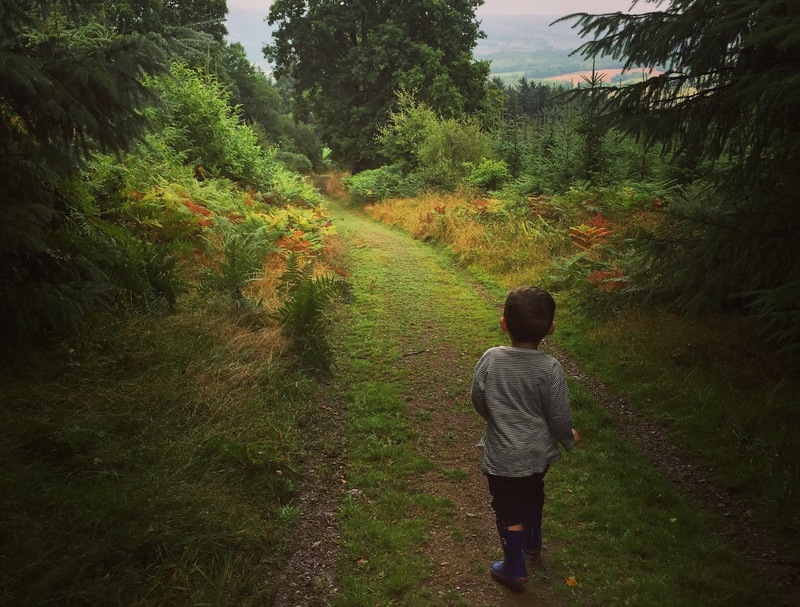 Family walks are one of my favourite weekend activities, as I love getting some fresh air and seeing new places. 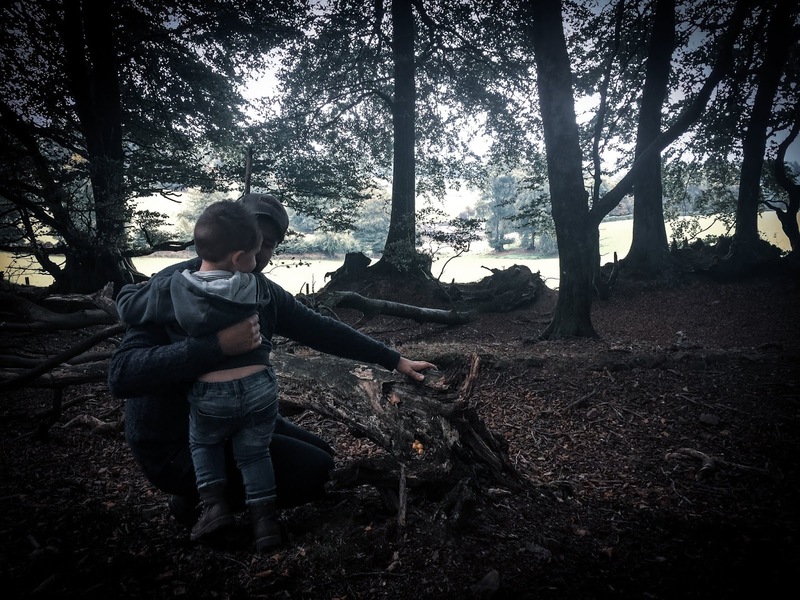 Although it's not always easy getting toddlers to walk the distance, family walks are great getting them comfortable with nature and letting them burn off some energy! We've had tasty picnics, enjoyed paddles in beautiful rivers and even encountered some rather friendly ponies on the moor. 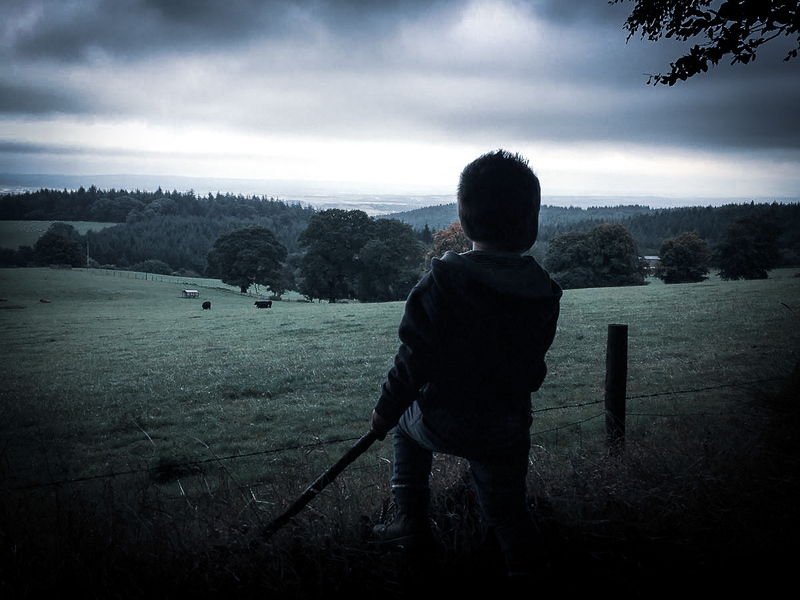 It's wonderful knowing there's always a new place to explore! Of course, summer wouldn't be the same without good friends and I'm pleased to say we've not only made some new friends this summer but had the opportunity to catch up with old friends too. Our friends Liz and Will came down to see us May Bank Holiday and then we saw them again in Derbyshire at the beginning of the month and our friends Hannah and Joe popped down for a rather rainy (rare this summer) but fun afternoon at Brean Beach. We're hoping to see them again soon! 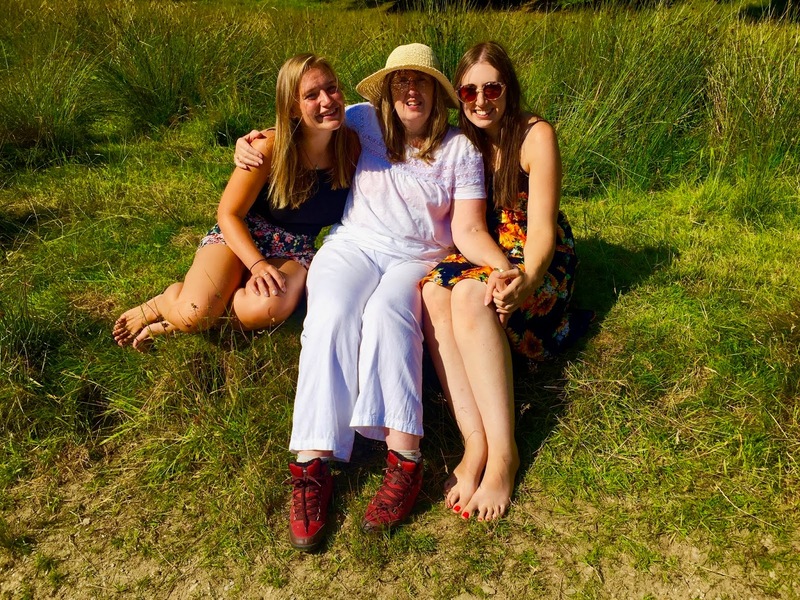 And speaking of friends, I couldn't finish without talking about our family trip to Derbyshire for Abbie and Dan's wedding - a definite highlight! It was so good to see them after so long and their wedding reception was such a lovely night. 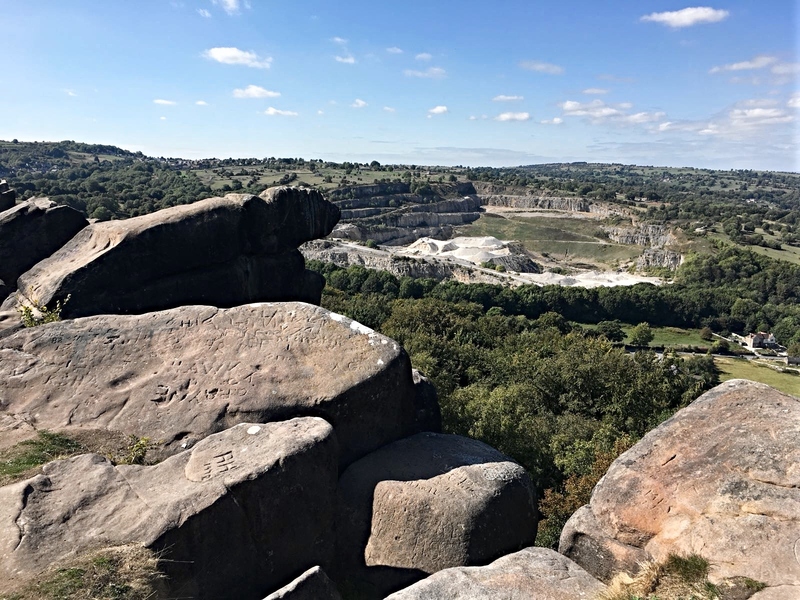 We also got to spend the weekend in the beautiful Derbyshire countryside, re-visiting places like Matlock Bath and venturing to new heights at Black Rocks. It was a wonderful weekend and a lovely way to round off the summer holidays. 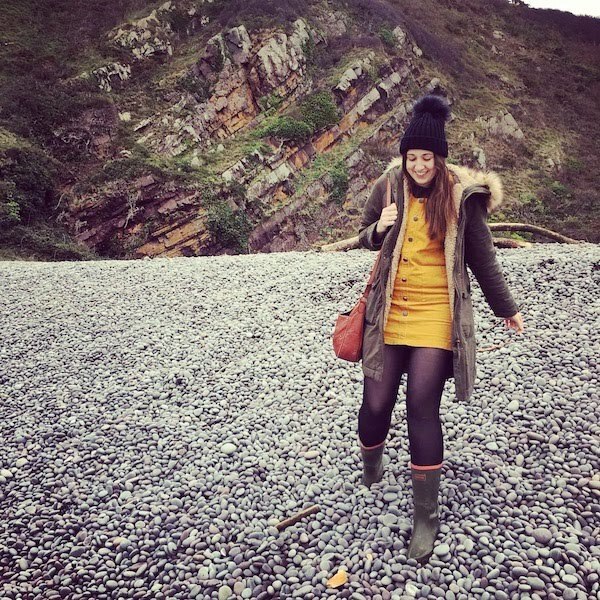 Although summer is drawing to a close, I can't help but welcome autumn with open arms as it's there's so much to look forward to including LEGOLAND, birthday celebrations and of course, Halloween fun! It's probably my favourite season, if I'm truly honest and I can't wait to see what else it brings. What are your summer highlights and do you have plans for autumn? Continuing with my 'dream home' series, I thought I'd tackle the bathroom next. 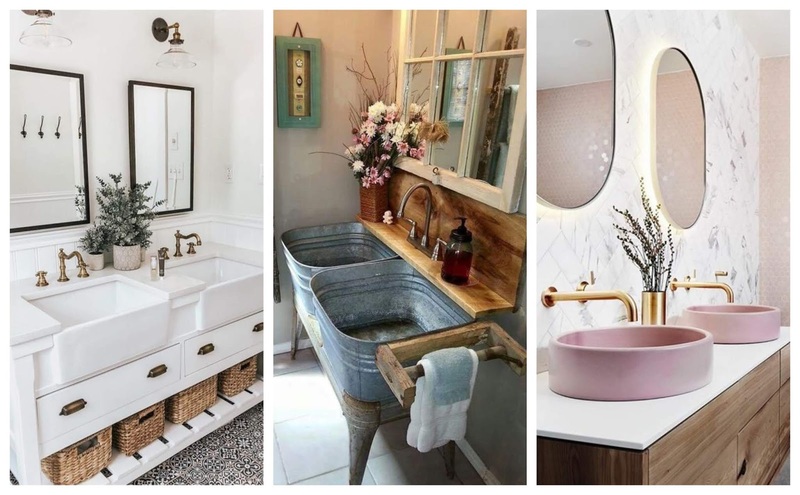 I'm forever pinning pretty bathroom designs to my home and interiors board on Pinterest and feel like I've gained so much inspiration from doing so. 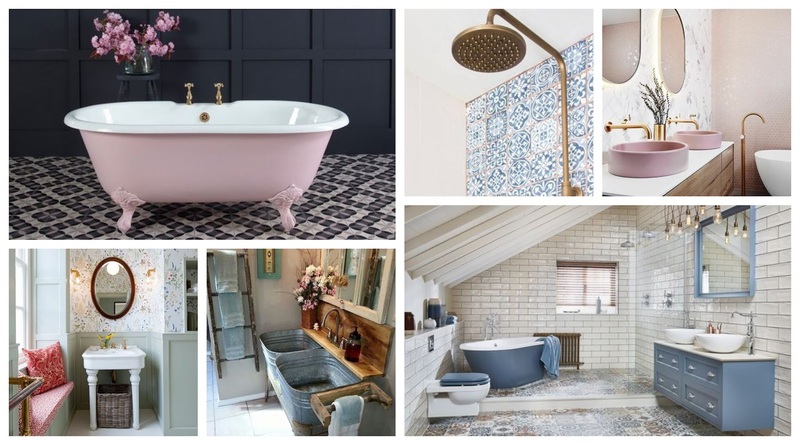 It's really given me an idea of what I would love in my dream bathroom and though my ideas may not all become a reality, it's shown me that bathrooms have the potential to be as beautiful as any other room in your home. Let's start with my ultimate bathroom dream - a roll top bath! My mum has always wanted one of these and I think she's passed her love for them onto me. I just think they add a real touch of luxury to bathrooms and look great with other vintage-inspired pieces, like the Victorian towel rails by Heating Style, which make a real statement. The bathroom should be a place for relaxation and roll top baths, with their elegant designs, help to promote feelings of peace and serenity; whilst complimenting both modern and more traditional bathroom interiors. 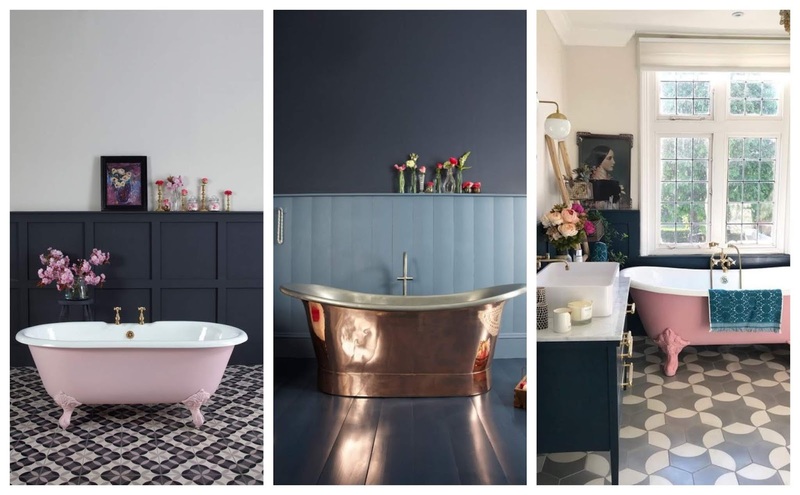 I really love the coloured roll tops with the cast iron feet, as well as copper tubs, which whilst not quite as pretty and feminine; would make a real style statement. The other half has said we can have a roll top in our future home, so I'm holding him to that. Some of them are pretty pricey though so I think we'll be shopping round for a second hand bath or purchasing a modern-take on the design, which may be a little cheaper. Twin sinks are a luxury bathroom design feature we probably won't end up having, as I imagine they're rather expensive and you'd need your bathroom to be a pretty decent size to fit them in. But seeing as I'm writing about my dream bathroom, I'm rolling with it! I don't know about you but I think there's something about twin sinks that looks so cool?! Especially those that have a slight rustic or even industrial feel to their design. I love the whole 'his' and 'hers' type thing. The main problem I have in my current bathroom is that it doesn't have enough storage. There's a small cupboard but the shelving inside is narrow and barely fits a thing. I've resorted to littering wicker baskets of items across my window sill for the time being, which is just fine but perhaps not the set up I'd like in a future bathroom. Instead I'd love some sort of bathroom storage unit that offers both practicality and style. 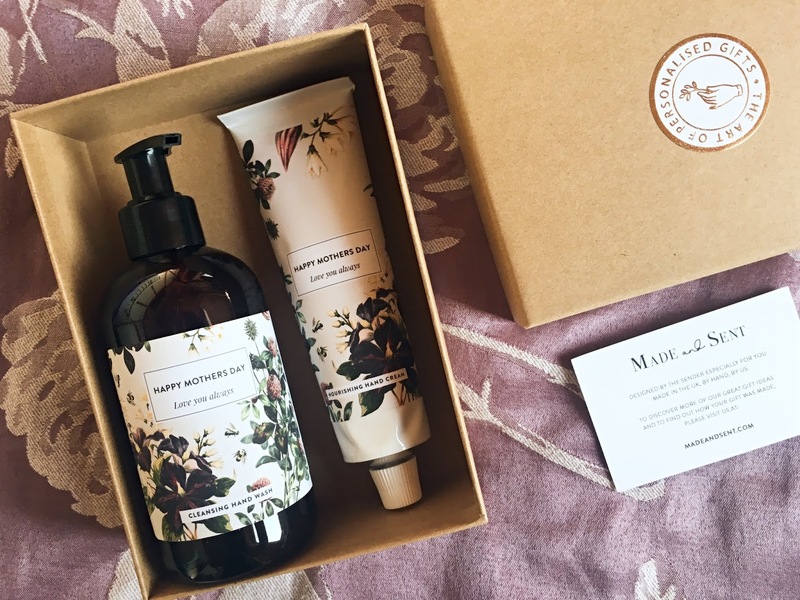 I would prefer bathroom toiletries and the like to be hidden away, as it not only stops my little boy getting his hands on them but also neatens everything up. After all, the bathroom is a place for relaxation and for me personally that means it should be minimalist and uncluttered. 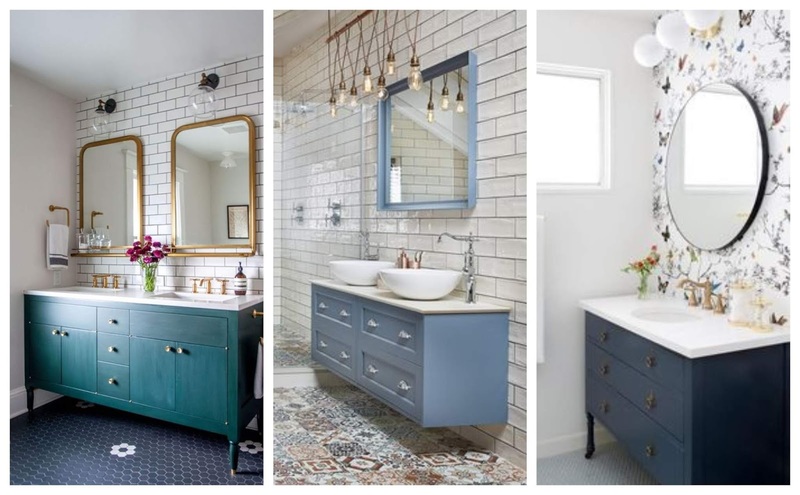 I'd love a vanity unit like the ones shown in these pictures but some shelving made out of crates could look pretty cool too and give your bathroom a rustic finish. When I've written about my dream kitchen and dream living room in previous posts, I've always had an idea of the paint colour but with the bathroom, I haven't a clue. I always think of bathrooms as being white but really, you can have them any colour you like. I think I'd be torn between going for something quite pale and serene or a fun statement wall, perhaps even with a patterned wallpaper. I suppose it all depends on the look you're going for and vibe you want to create. 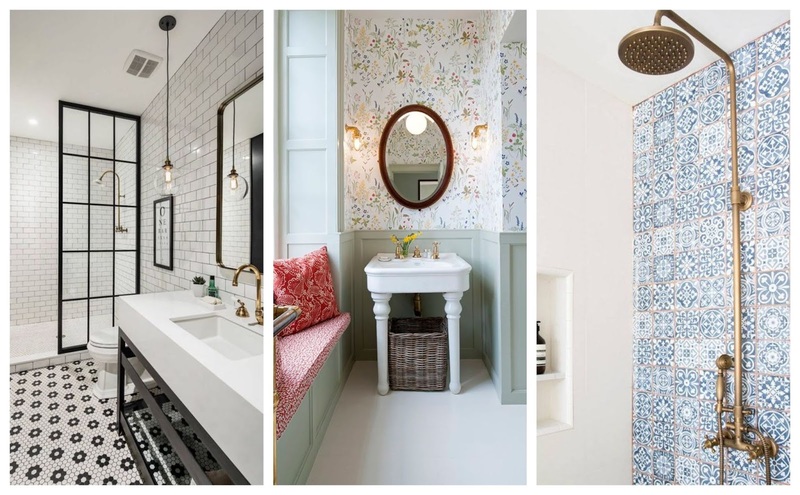 I also love the look of those mosaic patterned tiles that seem to be everywhere right now but I can't imagine they'd be my other half's cup of tea. I do think they'd look amazing in a shower cubicle with one of those antique-style showers though. I have so many ideas for my dream bathroom but I feel like they're not quite yet cohesive. 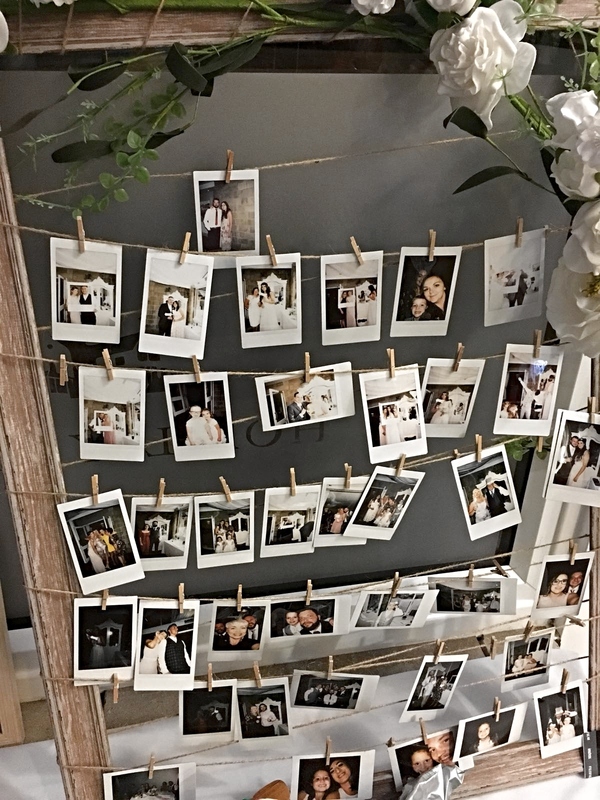 Perhaps that'll come to me when we do actually have a house to design but for now I'm going to keep pinning away and soaking up as much design inspiration as possible! How would your dream bathroom look? I have done my best to credit the images used in this post to the original owners (with links) but if I have used your photo and the credit is incorrect or you would not like your photo to be featured, please get in touch and I will make the necessary changes. What you wear to bed is a pretty personal thing. Some love a pretty pyjama set, others prefer a nighty or night shirt and there's those that they don't wear anything at all! Over the years I've gone through my fair share of pyjamas but at the same time, I've always been the type of person that wears any old thing to bed. T-shirt and knickers? Yeah that'll do. But since being introduced to Yawn and sent a pair of their rather luxury pyjamas, there's now nothing else I'd rather wear to bed! When browsing the Yawn website, the first thing I noticed was just how beautiful their prints are. Hand drawn at their studio in London, the prints are playful, cute and different from any other I've seen. I chose the House of Cards pyjama print as I thought it was particularly sweet - inspired by playing games with family on holiday, something that I have many memories of myself. It also has a hidden heart within the card print, a special touch that made me smile when I spotted it. 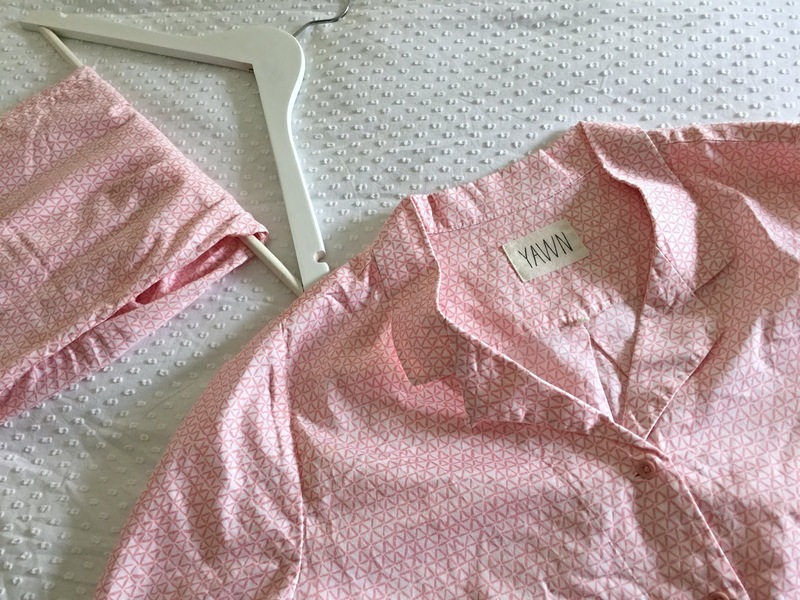 The most important thing for me about nightwear is how it feels and the House of Cards Pyjama Set* from Yawn certainly didn't disappoint. 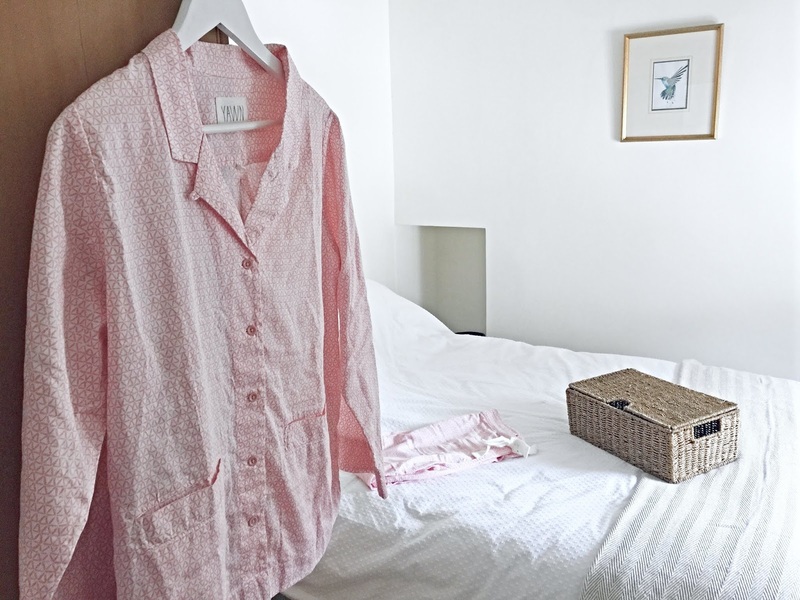 Made with luxury cotton sateen, they are far softer than any other 'shirt' style pyjamas I've tried before and very lightweight too. The relaxed fit is very comfortable and the length of the trousers is just about right for me. I did choose to size up and buy a medium (UK 12-14) but I do like a little bit more room in my pyjamas - comfort is key! 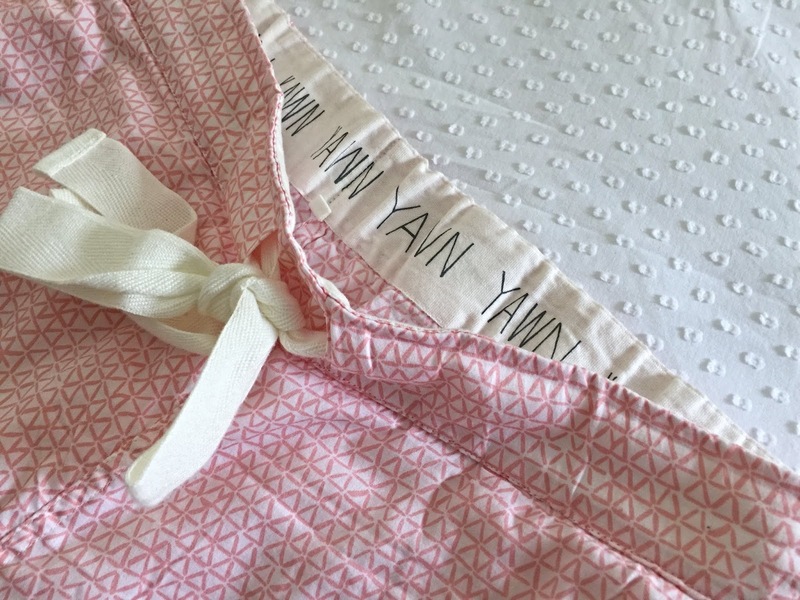 The pyjamas are very thoughtfully designed with pockets (who doesn't love a pocket? ), hems that you can fold up or turn down and a collar button, for those colder nights. I've always been put off buying this classic style of pyjamas, as I thought they'd be restricting and make me far too warm but the House of Cards Pyjama Set has proved me wrong. 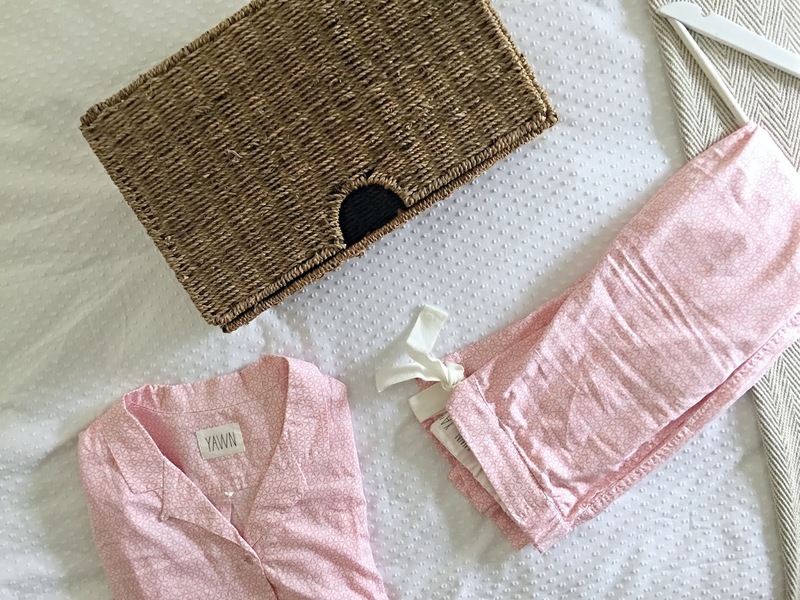 The cotton is lightweight and breathable but has a real luxury feel to it; you get the best of both worlds, with a cute pair of pjs that are cosy and comfortable to wear too! 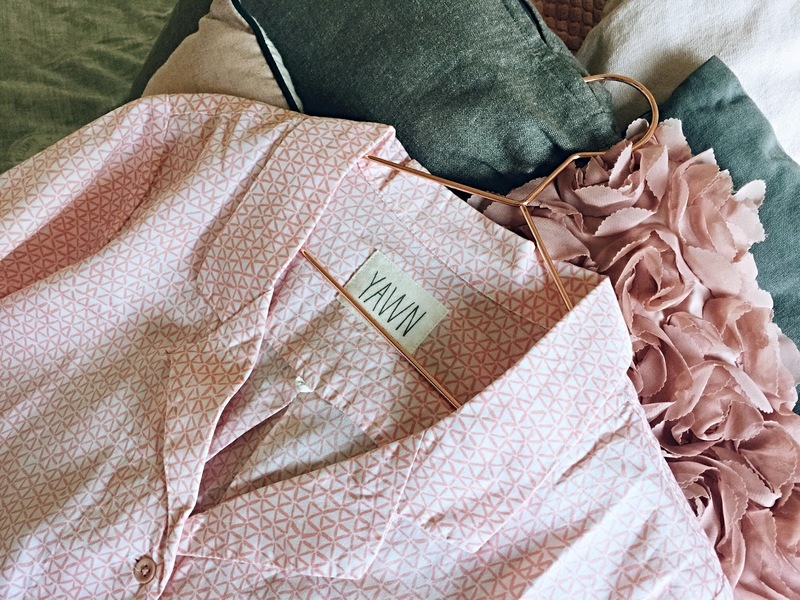 If you're after a new pair of pyjamas, Yawn is the place to go. They'd make a wonderful gift and with a number of dreamy hand illustrated prints to choose from, you'll have no trouble finding the perfect pair. *PR Item. All opinions are my own. 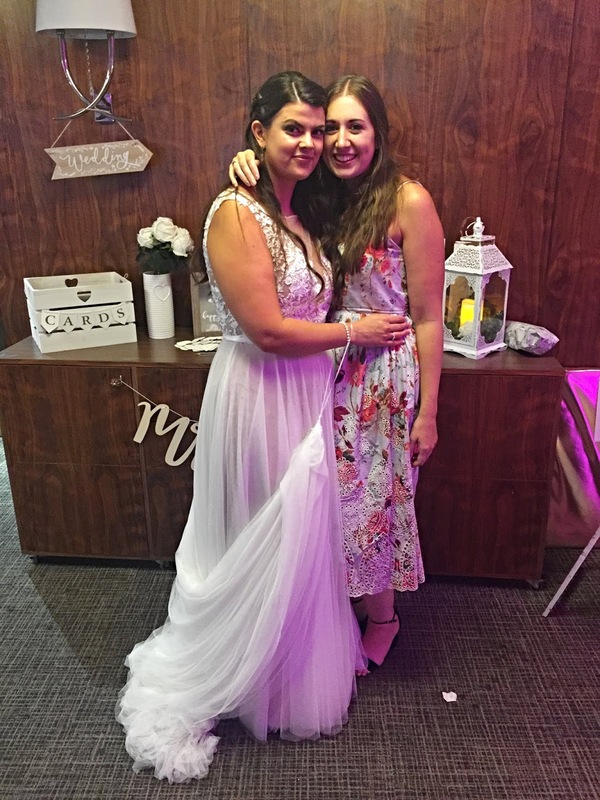 Last Friday, we travelled back to the Midlands for the first time since our big move and for a very good reason – my beautiful friend Abbie’s wedding! It’s funny because, even though I spent 26 years of my life living in the East Midlands, it didn’t feel like I was heading home. 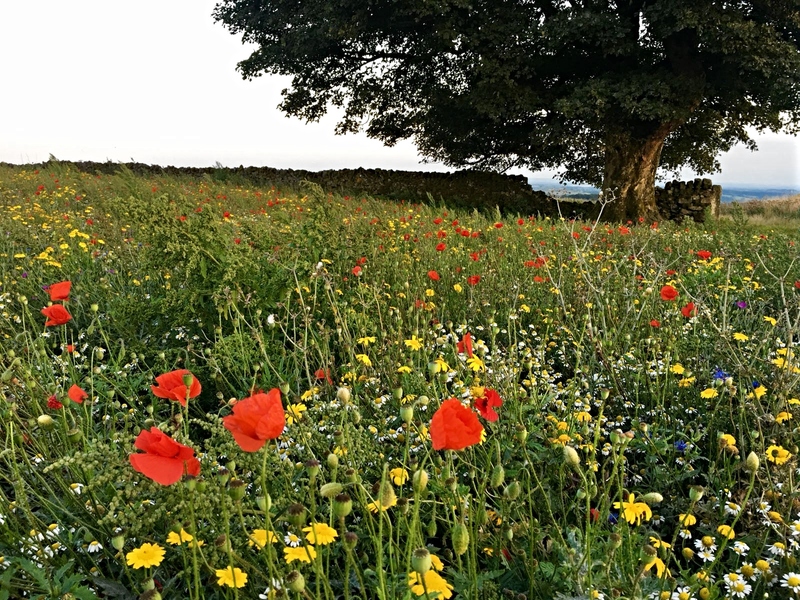 My heart very much belongs to the West Country now and in a way, I think I always knew it would, when I dreamt of living here all those years go. Having said this, I was so excited to be spending the weekend in Derbyshire and re-uniting with Abbie and her family. We met each other just a few months before I moved away. The timing of course wasn’t great but we instantly clicked and I think we both knew we’d built a friendship that could survive the distance. We message each other all the time, she was the person I nervously txt on my first date with Josh and she’s the person I tell everything to. Catching up with Abbie, her now husband (ah!) Dan and her beautiful daughter Emme was just the best. It felt like no time had passed and the only real evidence that it had, was that our kids have grown so much. It was so lovely to see them play together again. I was also thrilled to finally introduce them to Josh and have a good old catch up before their big day! With the wedding reception Sunday evening, we decided to make the most of our long weekend in Derbyshire, visiting a few different places such as Cromford, Matlock Bath, Black Rocks and Carsington Water, all of which were relatively close to the cottage we were staying at, in the beautiful village of Bonsall. 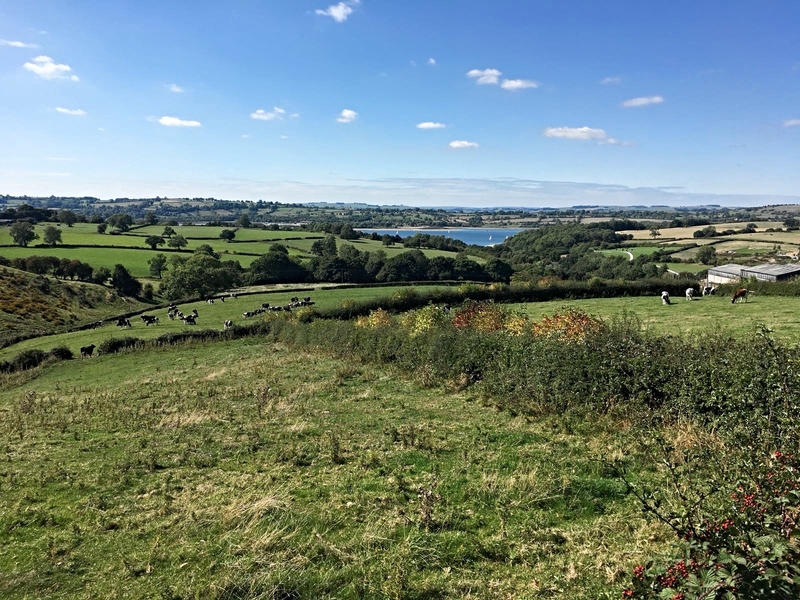 Despite his joke about the air being thinner ‘up North’ (Southerners don’t seem to believe the Midlands exists) and his ‘alright Duck’ impressions, I think the natural beauty of Derbyshire pleasantly surprised Josh. There really are some stunning sights to be seen, particularly from Black Rocks – if you’re brave enough to get up there. I decided to clamber up in the most ridiculous pair of boots – they had no grip and I was slipping and sliding everywhere but alas, I made it to the top and survived the experience. 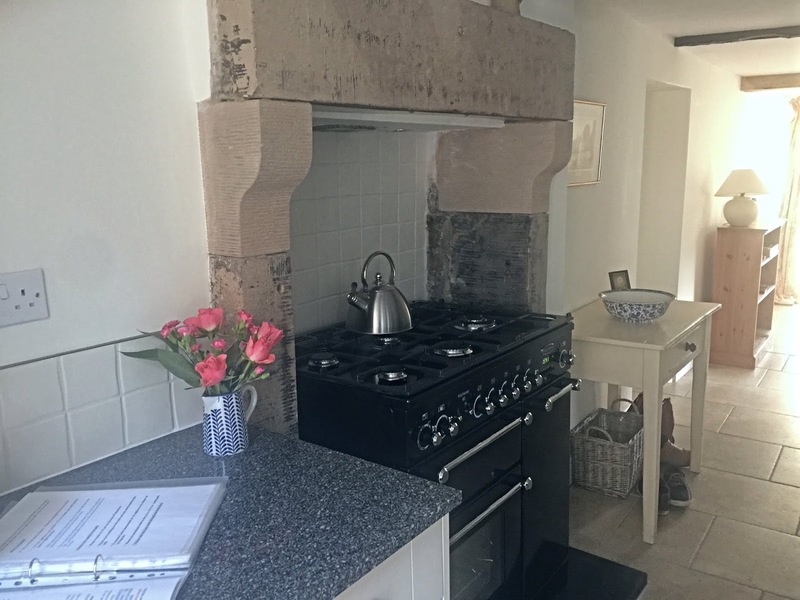 The holiday cottage (Park Cottage) we were staying in, in Bonsall, was also beautiful. A real home-away-from-home, with everything you needed for a relaxing, family weekend. It was located next to the play park – a dream for Arthur and right across the road from The Fountain Tea Rooms – a dream for the rest of us! We had an amazing cooked breakfast and cream tea there, so if you happen to be passing through, it’s well worth a stop. My parents also really enjoyed the meal they had at The Kings Head in Bonsall, which was just up the road. 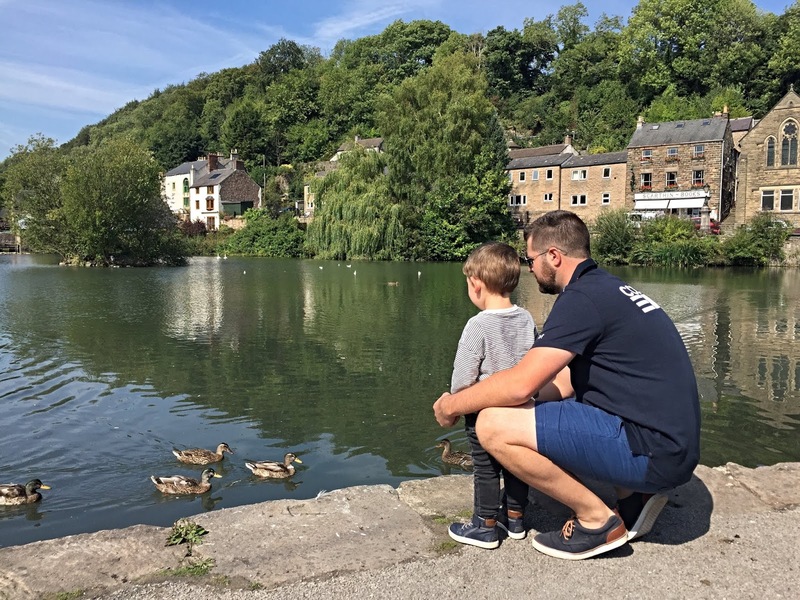 It’s a great village to stay in and was the perfect location for us; being just half an hour away from Horsley Lodge, Abbie and Dan’s wedding venue. 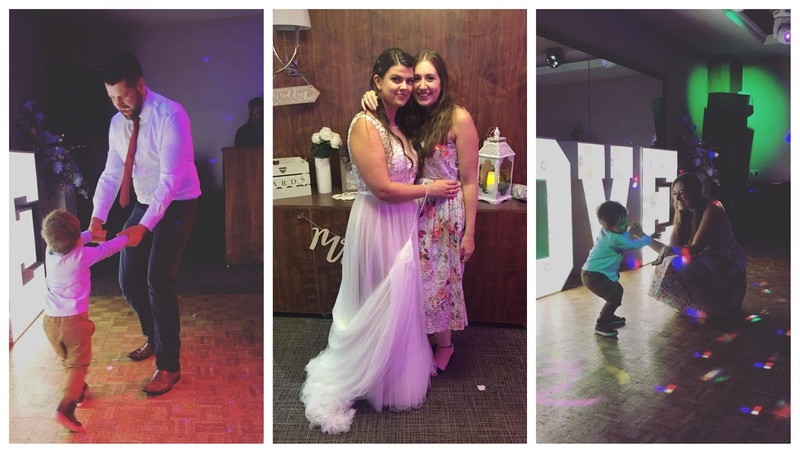 Of course, the main event of our weekend in Derbyshire was the wedding reception and it was such a special night that I’m so glad we got to be part of. The venue was beautifully decorated and Abbie couldn’t have looked more stunning in her dress. 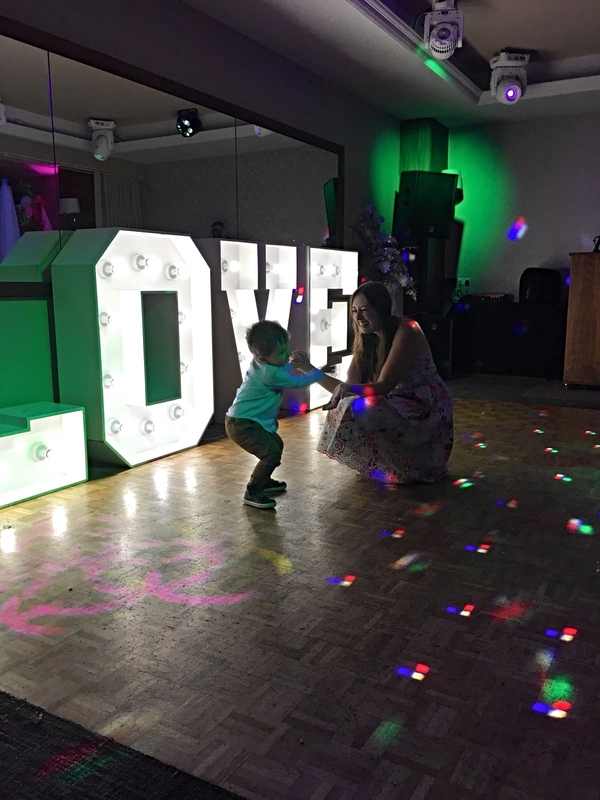 It was lovely to see her and Dan so happy and I may have had slightly water eyes watching their first dance as a married couple, with their daughter Emme joining in. Watching the kids having a boogie afterwards was also the most adorable thing. Arthur has some real moves and couldn’t wait to dance with Emme. We managed to snap a few pictures and they’re going straight in my scrapbook! I found it really quite hard saying goodbye to Abbie at the end of the night, as I know it’ll be a while before we see each other again. But I know next time we do, it’ll be just the same, like no time has passed at all and that’s a sign of a wonderful friendship. A big thank you to Mr and Mrs Dugdale for inviting us to be part of your wedding day. 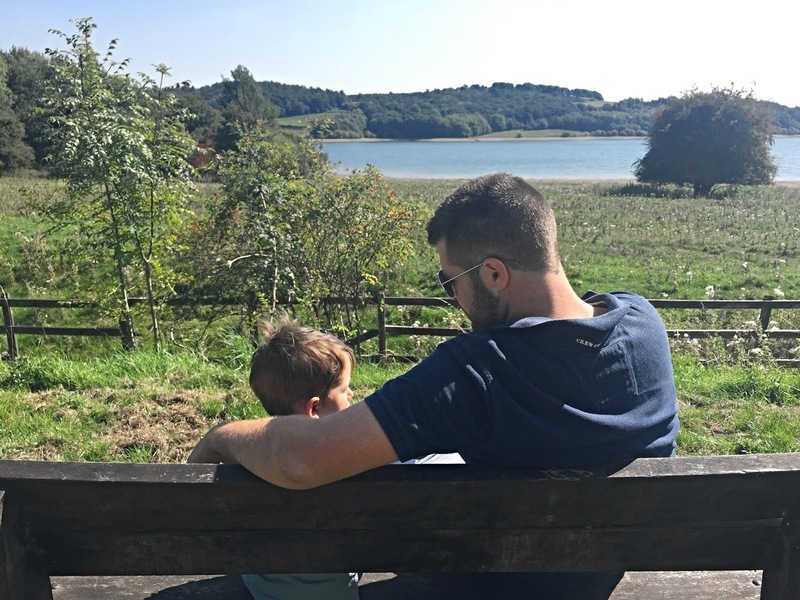 We had a lovely time in Derbyshire, made loads of memories as a family and it was most definitely a weekend well spent.